Celebrate Mardi Gras with Gold, Purple and Green treats! Celebrate Mardi Gras with home baked goodies everyone will love. These cupcakes are adorned with our new dresden trims. With nearly 70 different trims to choose from, there is a design fit for almost every occasion. These fancy little foil trims are embossed and die-cut with intricate patterns such as the Jester and Gold Crown, perfect for Mardi Gras. They can be used for all kinds of decorating, but we especially love using them as cupcake picks. Simply affix toothpicks to the designs with a small dab of craft glue for extra splash of fabulous! Visit our How-To tutorials for step-by-step instructions. 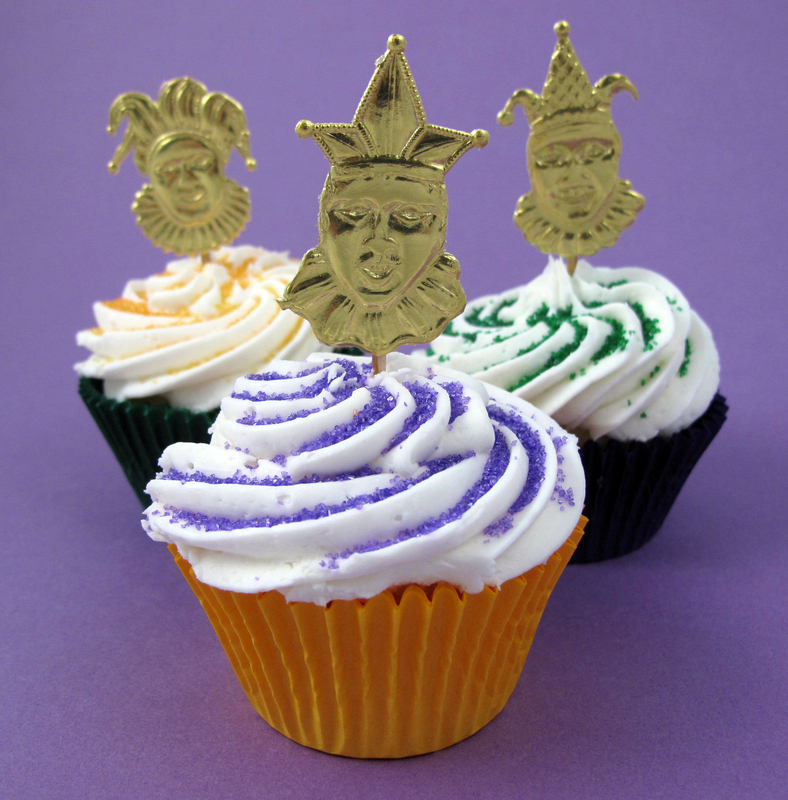 In addition to dresden trim for Mardi Gras, we have put together a coordinated pack of cupcake liners perfect for Mardi Gras in Lavender, Green and Gold, and have several other fun and festive Mardi Gras themed items for you to embellish your baked treats in style! See our Mardi Gras items HERE. 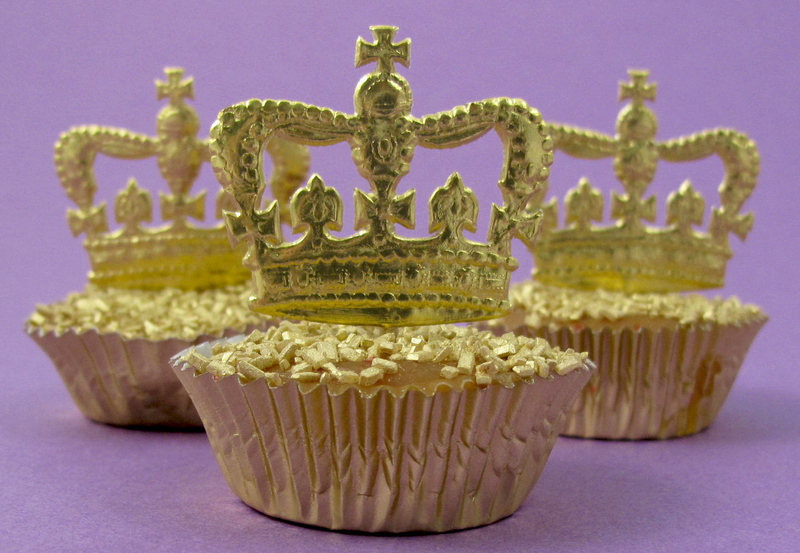 These gold encrusted cakes have been decorated with our Large Gold Metallic Sugar Crystals and sit in Gold Foil Cupcake Liners to create a stunning effect.